Sales training is an essential component of almost all businesses. It might take place only as part of the onboarding process for new employees, or you might have an ongoing sales training programme. Either way, there are many important benefits of e-learning for sales training. You can use e-learning to give new employees the knowledge and information they need to properly settle in. You can also use e-learning for new product training or skills improvement training with existing employees. Salespeople are often based in different geographical locations. This presents cost and logistical difficulties, particularly when training in-person. Getting new employees up to speed as quickly as possible is often crucial to the recruitment process. When salespeople are in training they are not servicing your clients. Your business suffers as a result of this, but it also impacts your salespeople. In particular, their motivation levels might be low if they think they could be out earning commissions and bonuses. E-learning addresses all these challenges while also delivering significant benefits to your business. Easily tailored to your business – the e-learning structure you put in place is completely up to you. For example, you can deliver all your sales training using e-learning, or you can use e-learning for specific elements. Flexible – your salespeople can complete e-learning courses and modules whenever they want to. This flexibility is much more effective – and it generates a better return on investment – than forcing people to complete the training at a set date and time. Facilitates just in time learning – just in time learning is where the learner completes a course or module when they need it most. The main benefit of this is that the learner’s motivation levels are usually high, so retention rates are good. Some forms of sales training would benefit from this type of approach. Accessible – providing you set up the e-learning course properly, your salespeople will be able to access it wherever they are and on any device. This makes it just as easy to train people on the other side of the world as it does to train people locally in Dubai. Customisable – it is also possible to customise e-learning courses for individual people. This has several applications in sales training. For example, when training international sales teams on a new product, you can customise the course content with country-specific information such as price, delivery details, and more. You can also customise courses according to individual ability, i.e. to address the specific skills shortages of individuals. Better engagement than other forms of learning – many of the above points lead to a better engagement rate from people completing your courses. This increases learner satisfaction plus, when learners engage with a course, retention rates typically improve. 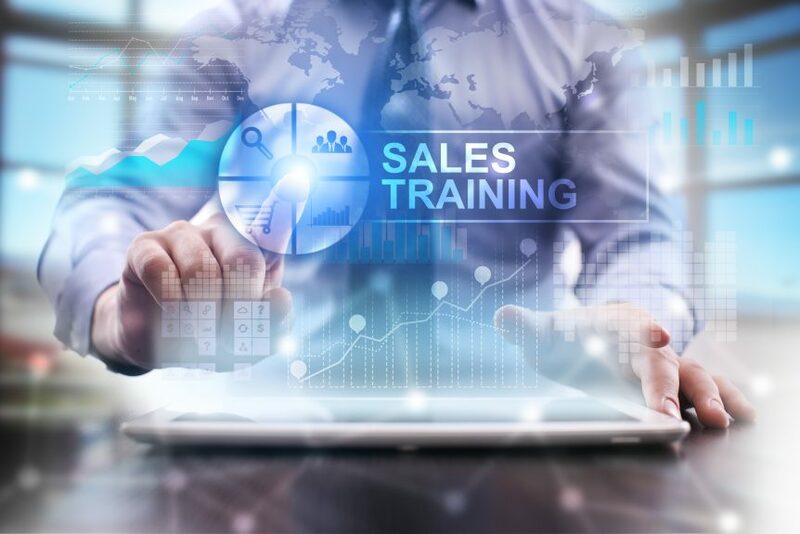 Consistent quality – keeping the quality of sales training consistent can be a significant problem for companies, especially those with dispersed salespeople. After all, whenever you have multiple people delivering training, individual learners will receive slightly different experiences. You don’t have this problem with e-learning, however, as all learners complete the same content. Even when you customise elements for individual learners or teams, you can still maintain a consistent level of overall quality. Helps sales managers and other leaders – it is easy for managers to track the progress of salespeople completing e-learning courses. You can also assess their skills and knowledge during and after they complete the training. This helps management keep track of training efforts plus it also highlights areas for improvement. Scalable – the delivery of an e-learning course to a few salespeople in one location is exactly the same as delivering it to hundreds of people in various locations. This makes it much easier to scale e-learning sales training than it is to scale classroom-based sales training. Lower cost – you will also save money when you deliver all or part of your company’s sales training using e-learning. The main cost savings are logistical, i.e. there is no need for people to travel, either salespeople or trainers, to attend a classroom-based course. Other things contribute to lower costs too. This includes achieving better retention rates as well as having the ability to change the content of your e-learning courses before immediately distributing the updated version. When creating sales training using e-learning, it is important you focus on engagement and interactivity in addition to the content of the course and the overall design. All these elements are crucial to getting maximum engagement and participation from your sales team. You may need professional assistance from an e-learning development team to achieve this, but you will get a better return on investment when you do.